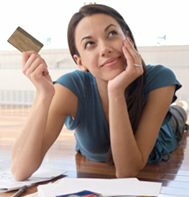 What are Debt Consolidation Programs? Enrolling in a debt consolidation program is one option for you to get debt relief. It is basically taking all your debts and putting them into one big payment plan. This is accomplished in two ways: taking out a bigger loan and paying off the rest or transferring your balances to one credit card. Both options will not lower your total outstanding debt but could lower the monthly interest rate that you have to pay for. Depending on the program that you will enroll into, you may end up paying for your debt longer than the original payment terms. The advantage of opting for this program is the possibility that it will not affect your credit report. If you are opting for the consolidation program because you want a more manageable payment term and you have not been delinquent on your paying your dues, then your credit report will not reflect this. Of course, if you take out another loan, this will be recorded in your credit history – but it will not be too bad if you do not miss out on your payments. The disadvantage of opting for this program is when you take out a secure loan to cover your other debts. You will be risking the collateral if you fail to pay for your monthly dues. There are loans that you can take that will not require a collateral but these are usually riddled with high rates. When Should Debt Consolidation be Used? Debt consolidation should only be considered if the monthly debt payments get too burdensome. Also, if you are only able to pay for the minimum on your credit card bills, you will take a really long time to finish because of the financial charges and interest rates that will keep on piling up. This is the right time to go for a debt consolidation program. You need to get rid of the high interest rate debts so you can work on paying off the principal amount. Having a lot of debts with different creditors can be too much to handle and the possibility of you missing out on a payment is not unlikely. If you consolidate them, you will only worry about one payment and one interest rate every month. You usually end up paying for less – although it will be for a longer payment term. The idea is to have more than enough to save up for your emergency fund. If you want to opt for a debt consolidation program, make sure you have the income to cover for the new payment scheme. If your finances cannot handle the current outstanding balance of your debts, you need to work on a debt settlement program. This form of debt relief option will aim to lower your outstanding debts to come up with a lower monthly payment. The goal is to have a percentage of your debts forgiven. This program is only ideal for people with real financial difficulties. Ultimately, you will only achieve freedom from debt if you learn how to manage your finances. You need to come up with a budget plan so you know just how much you can afford to spend every month. This is where a credit counselor or a debt professional can be of assistance. They should be able to provide you with a great advise to help you understand the do’s and don’ts of wise spending. How to Select the Right Program to Trust? When you are convinced that a debt consolidation program is your best option, select a trustworthy company to work on your behalf. A company that has a current working relationship with creditors and collection agencies will help you get better results. Because of this, a debt relief company that has been in the industry for a long time is a good choice. Look into their success stories to see just what they are capable of accomplishing. Try not to get your hopes dependent on these results though. Each situation is unique and what works for another may not be the ideal result in your case. Stay away from companies charging upfront fees. The government prohibits this under the debt relief laws – specifically the TSR or Telemarketing Sales Rule. You need to be very careful in choosing the right company to deal with because you might end up having to pay for more than what you owe. Know your rights and what to expect from legitimate debt relief companies. If you wish to talk to a debt professional, get in touch with National Debt Relief. We are a legitimate debt management company who will work with you to achieve financial freedom. At the very least, we can advise you on the ideal path that you should take depending on your financial capabilities. Give us a call or fill out the short form on this page. We will have someone get in touch with you. The initial consultation is for free and we will never ask for upfront fees.